Black Panther is the highest grossing superhero movie in North America, ending its theatrical run last week with just over $700 million domestically. The success of the Ryan Coogler-directed film was more than anyone expected, including Marvel Studios and Disney, but the writing was on the wall before the movie hit theaters when it started to break Fandango pre-sale ticket records. That success has been looked at with great pride from many in the entertainment industry and veteran actor Denzel Washington admits that Black Panther made him shed a tear of joy. In a new interview, Denzel Washington was asked about the last movie that made him cry. Washington, without pause, stated that Black Panther was the last movie to have that big of an emotional impact on him. The film made the actor sit back and think of his own career and how times have changed over the years. Washington had this to say. "Black Panther, I shed a tear. I was sitting in there - I ran into Chad and Ryan before the movie started, it was their premiere, or the screening in New York, and just talking to them and they went into the movie - and the 40 years I've been in this game came back to me." 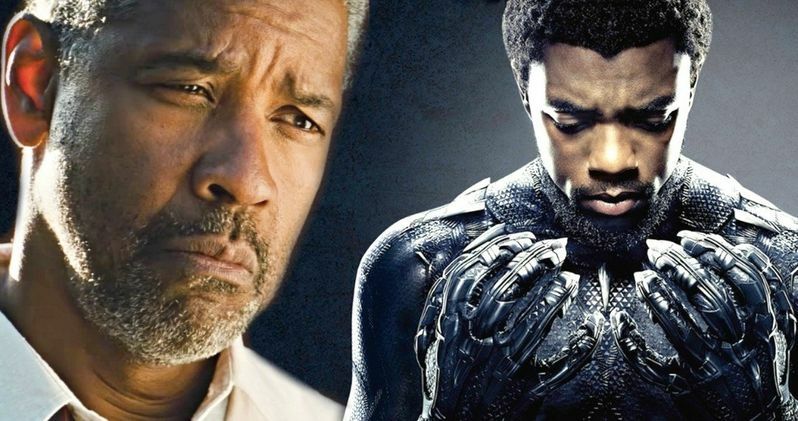 Denzel Washington went on to talk about Black Panther's triumph from the groundwork that he and actors like Sidney Poitier helped set over the years. The actor was blown away by what Ryan Coogler was able to do with the superhero genre. Washington later compared the success to a relay race and a passing of the torch. He explains. "I said, Man, look at these young boys, man. And I actually - I just started (crying). I was like, whew. You know, Sidney, to now? And I'm in the gap - me and many others - are in the gap, but it was like, man. I felt like the third leg of the relay race. Like, here, go. Now, I ran behind them - I'm still running. But I was like, man, they gone. They're gone." Denzel Washington is not alone in his line of thinking. The film became more than a box office sensation and was seen as a cultural phenomenon, which was compared to the work of Washington, Sidney Poitier, and Spike Lee. Movie theaters were bought out by famous actors and musicians so that young kids in the black community could see someone like themselves leading the charge on the big screen, which is something that Washington and many other actors have fought for over the years. Denzel Washington is currently starring in The Equalizer 2, which has been a success at the box office this summer. The film is also notable because it's the actor's first sequel in his long and celebrated career. Speaking of sequels, Ryan Coogler and crew are reportedly in the middle of developing Black Panther 2, a sequel that will have a lot of weight on its shoulders. It's not every day that Denzel Washington admits that a movie made him cry. You can watch a video of the interview with Washington below, thanks to joe.co.uk.